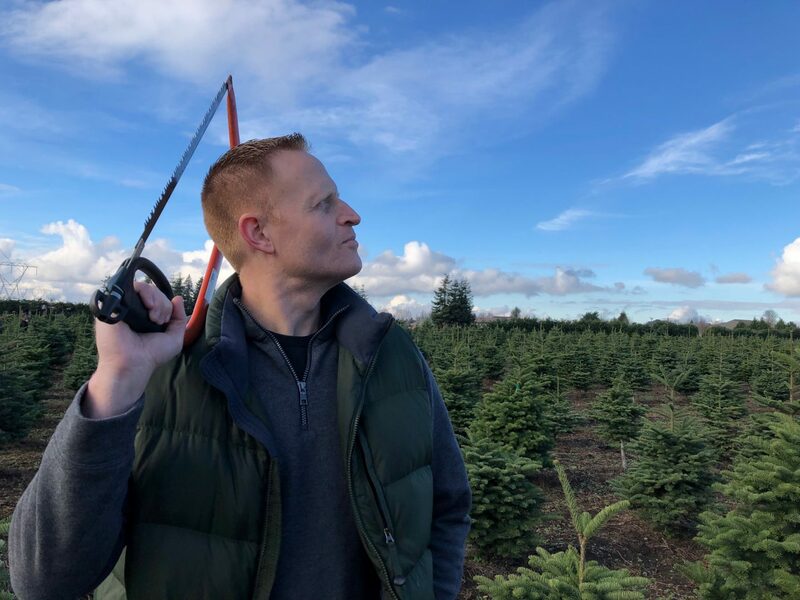 Since we’ve been planning to head back East for Christmas, we knew early on that we didn’t really need to fully deck the halls for the season, but the Christmas tree was always up in the air. This is the first year that the boys really get Christmas, and since we spent last Christmas in South Africa, we knew we wanted to actually enjoy this season in its entirety. 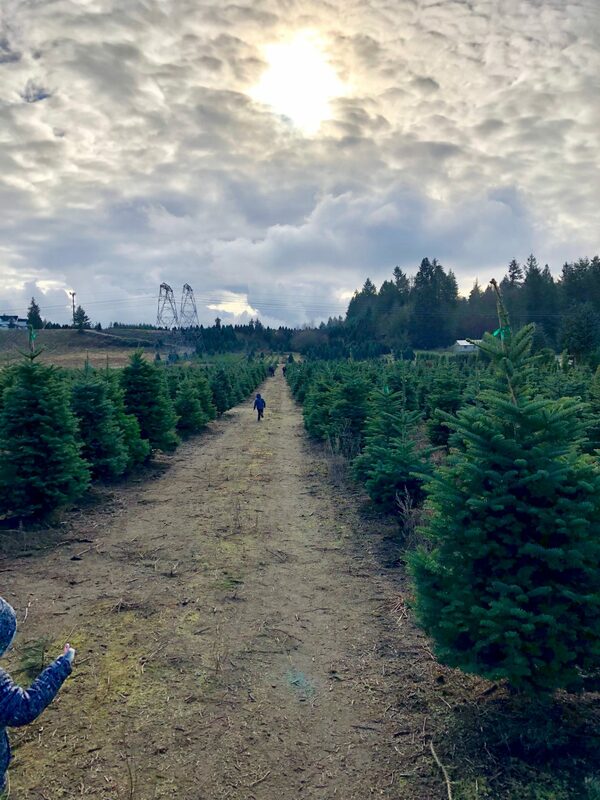 Our good friends told us they were planning to go to a local family-owned farm in Yelm, and they asked us if we wanted to tag along. Good friends, great weather, and an opportunity to get outside? Sold. So, we ventured out to Hunter Family Farm mid-morning on Saturday on a singular mission. 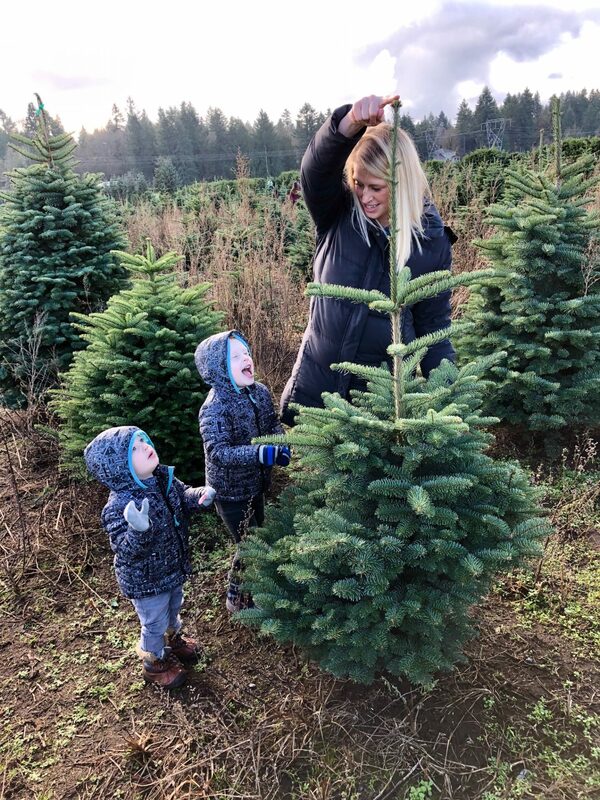 We need a Christmas tree – big enough to make an impression on the boys, but small enough that it could be donated to another family when we leave town in a couple weeks. Though this has been a hard transition moving to Fort Lewis, when we’re outside and really enjoying the beauty of the PNW, it’s hard not to really love this neck of the woods. It doesn’t hurt that Hunter Family Farm is impeccable, too. 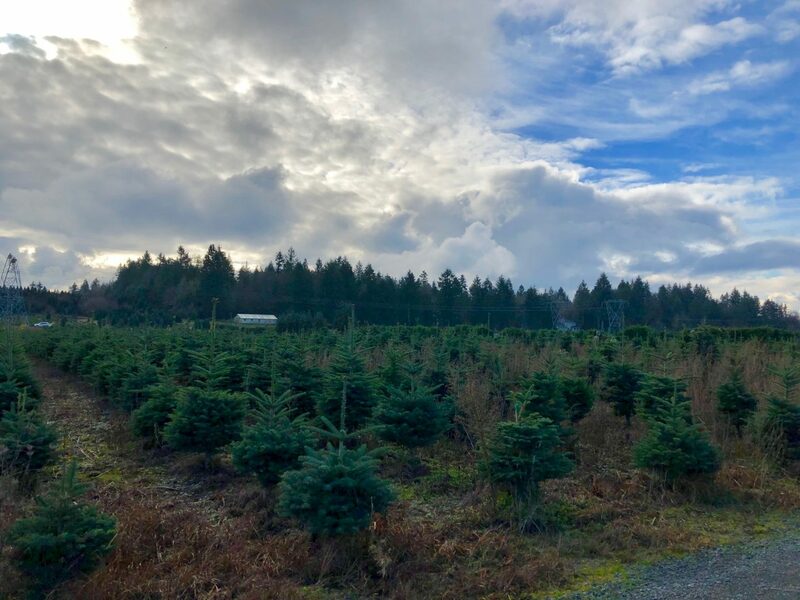 There are acres upon acres of beautiful trees ranging from Noble Firs to Douglas Firs, Fraser Firs, Norway Spruces, and beyond. 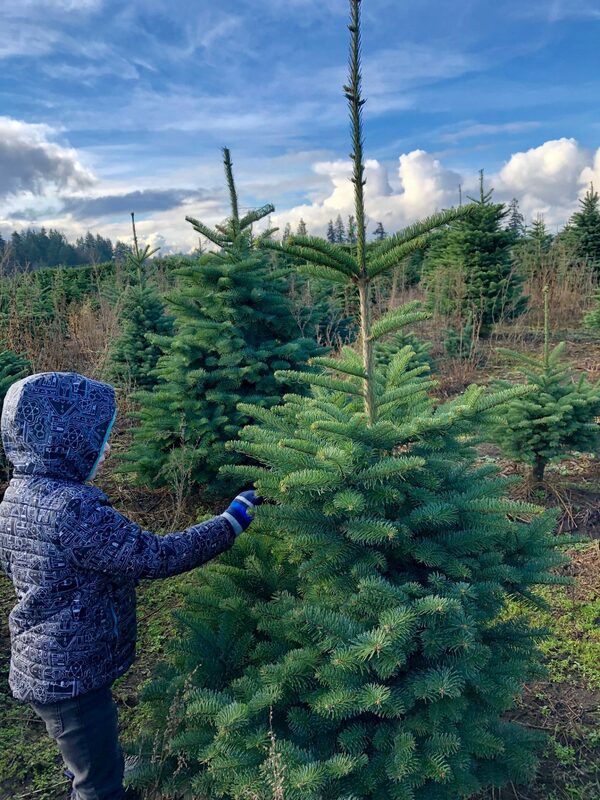 We had a goal to find a tree that was little and might otherwise go unloved, and my little boys didn’t disappoint. They loved them all. Perhaps best of all, Santa was in attendance, and my bold and loving Spencer went right up to give him a hug. No fear. 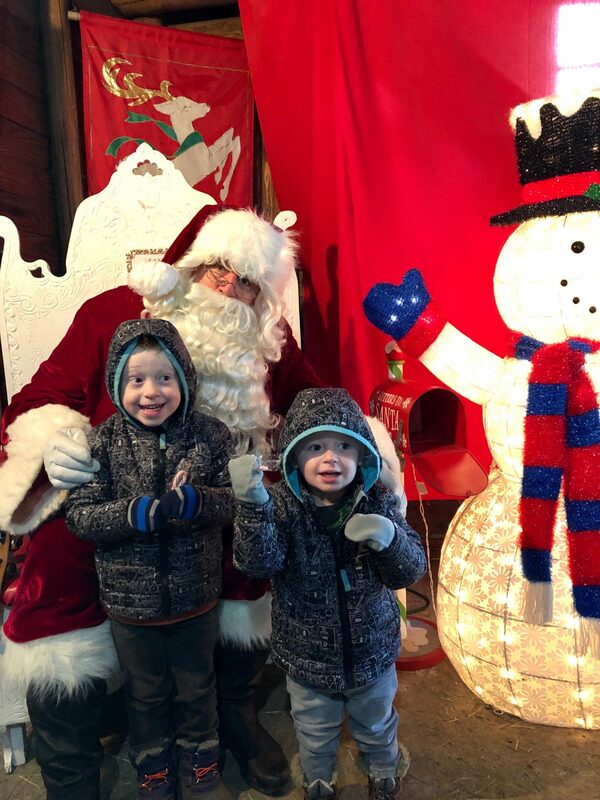 He just went up, wrapped his arms around him and said, “hi Santa!” Porter was a little more reserved, but he was agreeable once he saw candy canes in the picture. They also loved the animals, and they got a kick out of the llamas and baby goats. For our first taste of the holiday season here at JBLM, I have to say that it was actually refreshing and really nice. While I’m partial to a snowy Christmas season, I can’t say no to mild temperatures, sunny skies, and time outside with my boys. 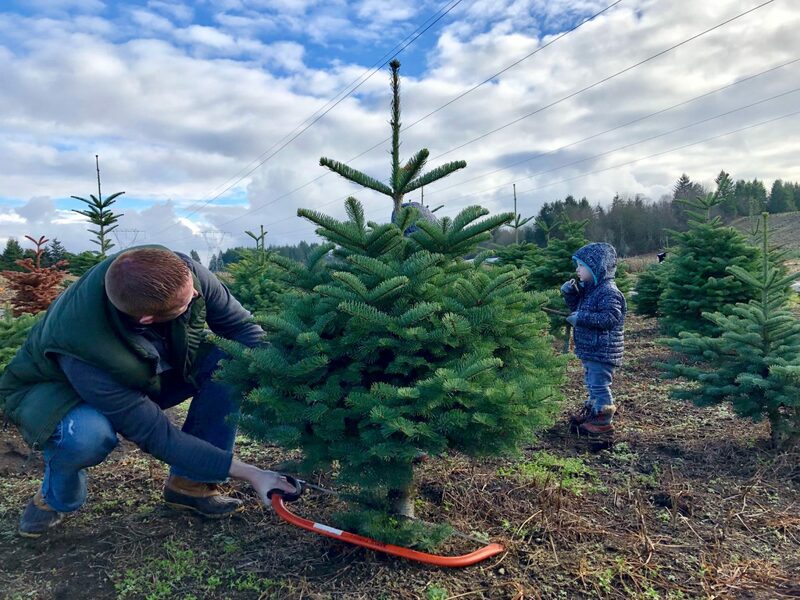 And, this is the first time in my life, too, that we actually picked and cut our own tree. I have a feeling it’s something we’ll do again, and my boys loved every single second of it. Even better? 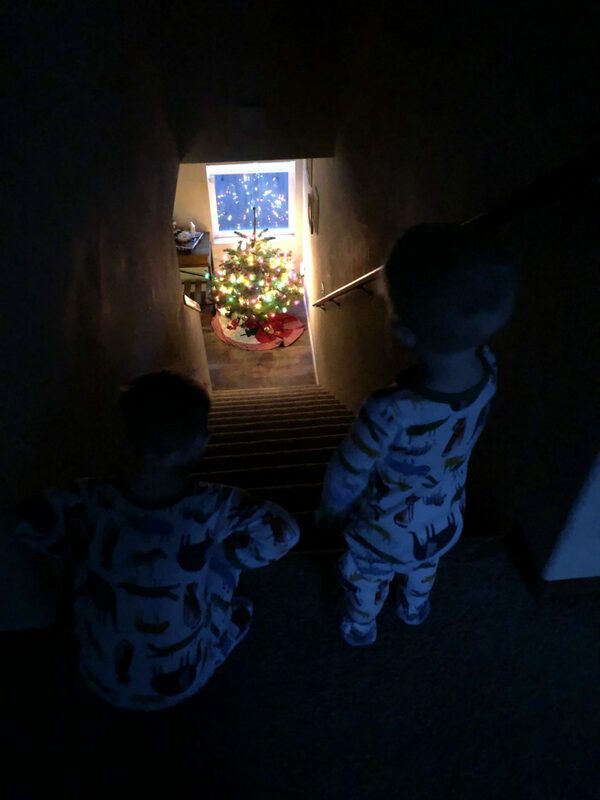 When they wake up in the morning, come to the top of the stairs and see the twinkling lights down below, it’s pure magic, and that alone is worth it buying a tree for our 13 remaining days here in Washington before we travel. Plus, as I sit here typing and staring at the glow of the star atop what we call our Christmas bush, I can’t help but be charmed by the season, too. There’s just something about having a decorated tree and feeling festive that can’t be replicated. We missed it in Africa, but we won’t miss it this year!